Selling is an art and effective sales people have mastered the art of proper communication during the selling process using three simple but effective techniques called “probing”. There are three types of probing questions: open probes, closed probes and supporting probes. When you begin your dialogue with a potential customer or prospect you want to encourage them to respond freely with open probes. For example, if you are selling sales software you may want to ask “Why are you looking for a sales or opportunity management software solution?” This allows the prospect to expand on their business objectives and hopefully provide you with valuable information regarding their specific business requirements. When you want to limit the range of the customer’s response to a yes or no answer, or to a choice of alternatives you supply, you will want to use a closed probe. An example would be “Are you the decision maker for the sales management system?” This will help you to better understand how the decision for the sales system will be made. Lastly, when you feel you have uncovered and have a clear understanding of a customer need you will want to use a supporting probe, where you acknowledge the need and introduce benefits that satisfy that need. If you have used probing properly, you will now be in a position to summarize the benefits that the customer accepted during the call and formulate an action plan to get the customer’s commitment to continue to earn their business. 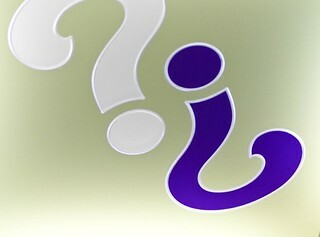 Image “Questions?” by Valerie Everett on Flickr under Creative Commons license.